The EliteShield™ Economy and Elite Premium 100% Waterproof Cover for Class B Motor Homes and Conversion Vans. 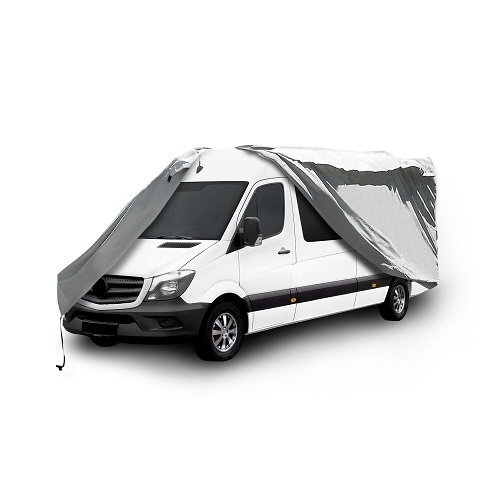 We have two types of Conversion Van Covers to choose from. Wheather you choose the Economy or 100% Waterproof Cover; both are durable and economically priced with incredible 1 and 2 Year Warranties.